Cutters can be used throughout the growing season to trim plants. 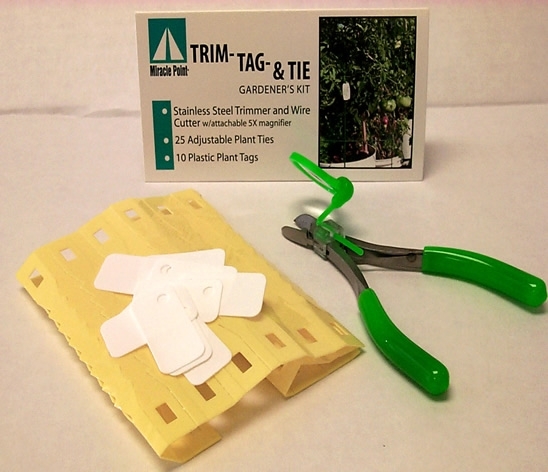 Adjustable ties allow for plant growth and can be re-used. Write on, weather-resistant, plastic labels help to identify plants.